Girls think they can have babies forever. Tick tock... tick tock... tick tock... hear that? That's the sound of the clock working. Minute by minute the time is passing. If you're a woman, from the moment you're born the clock on the eggs in your body starts to tick. And tock. It is a fact that a woman is born with a certain amount of eggs. Before she's even started her menstrual cycle she's lost more than half of them. And each year that goes by, they dwindle. When she runs out, there are no more. She can't buy any. Well, she can, but they're not technically hers. HER eggs are present (a gift really) for only a specific amount of time. In the last several decades, something happened on our way to the baby shower. Women have gotten busier. Thank goodness. We now hold high political offices. We're esteemed judges and doctors. Tech moguls, CEO's, there's really nothing we can't do. But ironically, that very freedom can limit an ability we've had since the beginning of time. We're so busy living our lives that sometimes we forget to create them! Bravo to those women who want to live their dream, I was one of them. I would never bash a woman who wanted to put herself and her career front and center. But I would caution her: don't forget about your other dream (if it is one) because having a baby isn't a given - we just think it is. There are lots and lots of young women who think the possibility of having children extends well into their 40's. And it does. For a very few. When I was reporting for a TV station in California years ago I did a story on freezing eggs. For a hefty price, an Orange County company would go into a woman's body, grab some of her eggs during her prime and keep them "on ice" until she was ready to use them. I was amazed and envious really. A woman who had the means could very potentially go well into her 40's and then have children. No bother. No worries. No old eggs. NO way. For me at least... I had to do it the old fashioned way. Kinda. This is my 3rd post in a short series. 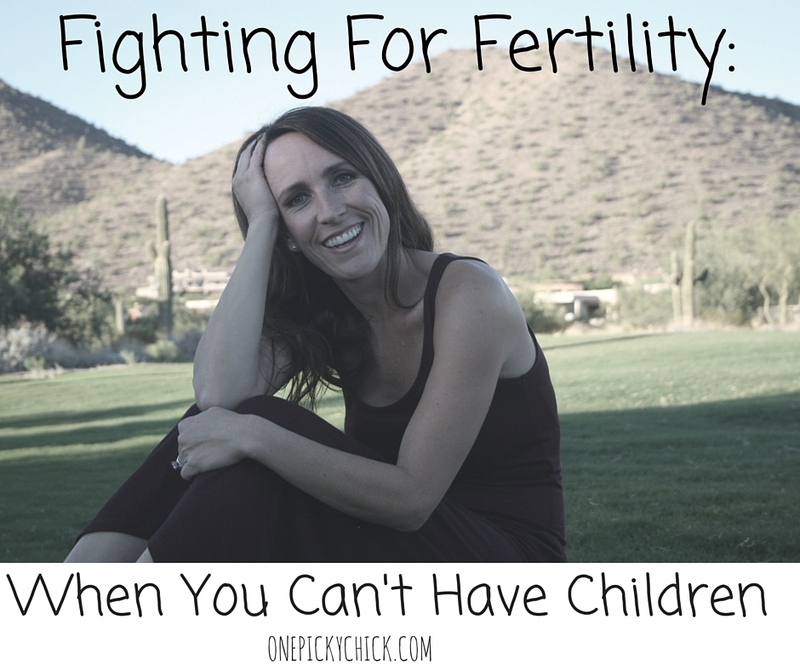 Read my full infertility story HERE and then read how I fought to get pregnant HERE. Spoiler alert - it was not by way of frozen eggs! But when I did that story all those years ago it hit me for the first time... THAT'S HOW THEY DO IT! You know there's tons of news about celebrities having babies well into their mid to late 40's: Halle Berry at 47, Tina Fey at 44, Gwen Stefani at 45, Amanda Peet at 43, Mira Sorvino had a baby when she was 44 and Kelly Preston was 47 years old! The list really does go on and on... and that's great but here's what's not so fabulous: they're having lots of help and paying tons of dollars for those babies. The world just doesn't know it. Same thing happened when I was working. As a television broadcaster for about 17 plus years.... I ran into plenty of very driven women. Ladies who dressed lovely, talked fast, made money and wanted it all. They lunged hard at their career early, got married later and babies were almost an after thought. About the time I wanted to conceive others in my business did too. There was a bit of a baby boom. Multiples happened. Some women talked about where they came from... others didn't. They have the right to keep it to themselves. It's hard to go through and it can be a struggle that's difficult to share. I know just as much as anyone. But I also believe perhaps it's their duty. Otherwise, it's really such a dis-service to the women and girls out there who will attempt to live the lie. Sadly, when they find out the truth... it may be too late. As I did that story about the frozen eggs all those years ago I learned something I would never forget. The cold hard facts surrounding the eggs inside a woman. A woman is born with about a million eggs in her body but only has a few hundred thousand left by the time she's a teen. Sounds like a lot but she loses them incredibly fast. There's less in her 20's. By the time a woman hits her early 30's there's still lots of good options but they're starting to dwindle. Then by 35, there's such a severe drop, on a graph chart, it would look like a 90 degree angle. After 40, there's almost no eggs left. At age 45, there's just about a 3-4% chance of natural conception... according to Parents.com. So, even a high powered CEO of a Fortune 500 company can not put in a bid for a baby... she just can't have one. Why am I writing about this? Not to scare anyone but to plant the seed. Yes, I want girls to live their dreams but I also want them to take a moment to recognize a dream they may not even realize is there. Being a mother is a special part of life that could easily pass you by if you let it. If you want a baby, it's just as important - arguably more - as that job promotion. No doubt about it... wait until you're ready. But don't wait too long. Because the misconception about conception is ultimately pretty clear. Tick tock, tick tock, tick tick... tock. You can do the impossible. Be your own best advocate. And never take NO for an answer. 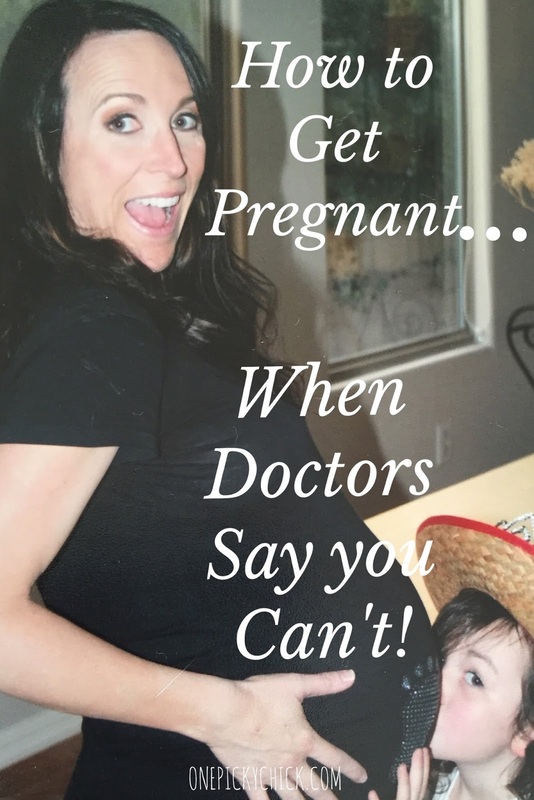 When you find out, from a Fertility Doctor, there's no way - in his professional opinion - you can get pregnant. What happens? You want to prove him wrong. To read the FIRST full story - click HERE ... this is the 2nd one in the "series." Yes, that doctor scared me and scarred me. He took lots of money from me yet he made me feel like less of a woman. The one thing he did positively was introduce me to a skilled fertility Acupuncturist. His name is Robert Koagedal. He has a practice in Scottsdale, Arizona called ACUHEALTH ... click that business name to go directly to his website. I recommend him up and down, around the corner and through the woods. He's good. He gets the credit for leading me on this journey. I started seeing him when I began IVF. But it was too late. Turns out, a woman should go to the acupuncturist months before attempting the procedure to increase your chances of getting pregnant. What Koagedal does is bring you back to basics. He took a look at my life and helped me begin the path to fix it. My FSH (that's Follicle Stimulating Hormone - also explained HERE) was high. Why? Since I wasn't pre-menopausal... it was a number of other reasons. I wasn't sleeping enough (morning television reporter), eating enough (or the right things), probably exercising too much in the extreme heat that is Arizona. The question became: how is your body supposed to take care of someone else when it can barely even take care of itself? Bingo. I needed to heal me first before I could support any other living thing. Particularly a baby. It made total sense. The yin has to meet the yang. So my mission was crystal clear. Make myself into the perfect model home. It was renovation time and I was cleaning house. Acupuncture was a solid, no stress hour of getting pricked by pins. I'm not an eastern medical expert so I can't tell you exactly how it works but I do know this: it does work. Acupuncture is not a crock. 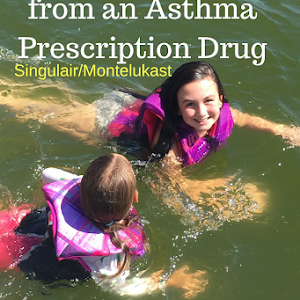 It's part of a process that brings an ailing body into balance. It can help multiple issues including pain management, allergies, medical ailments and in my case... fertility. And so I began to see another man every week. My husband supported it. I loved going. Yet ironically, every time I walked in the door I got mad. I was there because I had failed. And it hurt. But, in my mind, there were no other options. Change began. I not only went to Acupuncture every week but everything differed from life as I knew it. Call it an about face. There wasn't much I could do about my night sleep, other than quit my job but my stubborn attitude won that battle. However, I did start taking a nap almost everyday. I no longer exercised in the extreme heat. Heat's not good for conception. And rather than eating less I began to eat more. There are what they call "fertility foods." Local, fresh, whole and balanced. Real food. I did not consume breads, pastas, caffeine (coffee), soy, corn, lots of sugar, fast foods or highly processed foods. Let me start by saying this is not a "diet." These foods won't necessarily make you skinny, to the contrary, the suggestions here may put more weight on you. Depending upon body type. Heavier women could lose, my goal was to put a little extra meat on my bones. Eggs. Eat them almost everyday. Extra virgin olive oil, garlic, salt and pepper. Yum. Rich tasting and good for you. In some cultures, women eat near a dozen everyday! I stuck with 3. Meats. You need plenty of organic/grass fed meat. Not the lean meats. Fat, some of it, can be good for fertility purposes. And boy does it make a steak tasty! Like I said, grass fed. Not corn fed. Quite simply, cows and lambs are supposed to eat grass. Not corn. Corn is everywhere in the diet of today's animals and that's not necessarily a good thing. Just a way to fatten the little guys up into big guys. They're not meant to eat corn and in turn... you're not meant to eat them that way. Grass fed/organic may be hard to find, sometimes expensive, but worth it. In my case, my friend and I found a grass fed cow in Utah (this is no joke) and we bought him. We knew the farmer, he knew the butcher and my friend's husband drove it across a couple states. If you can't buy a cow, try your local grocer, butcher or farm. Just search for it. 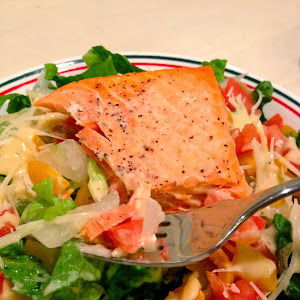 Other foods including organic chicken, eat lots of wild Alaskan Salmon. You want to use real, organic butter and drink organic, whole milk. Remember, it's not a "diet!" Eat organic fruits and vegetables but AVOID SOY. Experts say it messes with a woman's estrogen. Even in small amounts. Which is why many vegans have trouble getting pregnant. You want a baby? Put the vegan lifestyle aside... if just for a year or two. Why risk it? Drinks. Enjoy liquid chlorophyll. I started to drink it when I read it could help clear up your skin. Found in most health food stores, I was delighted to hear it also aided fertility. It's bright green and about a tablespoon in a large water bottle will do. There's hardly any taste. It's a rich source of natural minerals vitamins, proteins and anti-oxidants. Plus, it gets extra credit for helping clear the skin. Looking beautiful while going through a hard time in your life never hurt. Drink wheat grass if you can stomach it. I hated it. It was like drinking my lawn. Like I took scizzors and cut some grass and mixed it in a blender with water. If you can, go for it. It will only help. The last important liquid is Fertil-i-Tea. Get it? Cute. It's a blend of herbs that aids in the quest. I bought the tea through my Acupuncturist. Drink it every morning instead of coffee. I almost completely gave coffee up. But I still went through the warm-liquid-morning-motions. Personally, I did not give up wine. A few times a week I'd enjoy it with my steak or salmon! If I needed a treat I usually turned to ice cream. I figured the dairy fat was better than Red Vines! Vitamins. Take pre-natals and fish oil. Also, look into herbs throughout the month. There's a series eastern medicine thinks you should be taking to aid in the fertility fight. One type for one week, another the next, it follows your monthly cycle. The Herbs also came from my Acupuncturist. You may put on a little weight but not too much. Perhaps like 5 pounds. I never weigh myself so I don't really know but that's what it felt like. No one else will notice. You may hear compliments though. People said I looked better, my skin was fresher, my hair was thicker. One odd thing: my fingers got smaller. After my first child was about a year old my fingers swelled and I could no longer get my engagement ring on. I'd have to be really cold to slide it into position. It was also about that time my cheeks looked constantly flushed. It was like my body was running hot. Perhaps it was running on empty. There was no gas in the tank. Remember, how was I going to support another human being if I couldn't even support myself? The question was out there and I felt the real answer was within my reach. It doesn't happen overnight. In fact, the new year came and went and still no baby. I had been under this regime for 10 months now and I was growing weary. The sadness inside of me was sometimes overwhelming. Once, I burst out crying at a little girls birthday party when someone asked me a pointed parenting question: "since your daughter is 4 (and if I wasn't going to have another child) should I quit working and stay home with her? At this point, secretly, between BP (the husband) and I... it was decided I would soon be a full time mom. I would quit my job when my contract at the TV station ran out. The 1 year count down was on. So, I was excited for change but devastated I hadn't added another person to our crew. Overall, however, I was feeling very good. My fingers had gotten skinnier, though I had put on a tiny weight. I was a little less tired and I felt better. My Acupuncturist agreed something should happen now if it was going to happen at all. MY FSH LEVELS WERE THAT OF A 20 YEAR OLD (like around a 6)! It was go time. Turns out, I was feeling good for good reason... my model home was ready for a nursery! My OB gave me a very small amount of Clomid that I could only use for 3 ovulation periods. I had 3 cycles to get this job done. Clomid, for the record, in very non-pharmaceutical terms, is a drug that basically pushes all your eggs out in one swoop so you have a better chance of getting pregnant. I took it once and nothing. I took it a second time and it worked. I could NOT believe it. I was pregnant. But the term we used over and over was "cautiously optimistic." We were hopeful the pregnancy would last but afraid it wouldn't. We told (almost) no one. We prayed a lot. I was excited to be nauseous. Ecstatic to be tired. A craving made me jump for joy. All good signs that it was working. We finally exhaled when I was 5 months along. We began telling people I was pregnant. The baby bump was more evident. We had done it. I had a baby shower. Something I didn't do with my first pregnancy. The attention was something I didn't crave. But this time... was different. 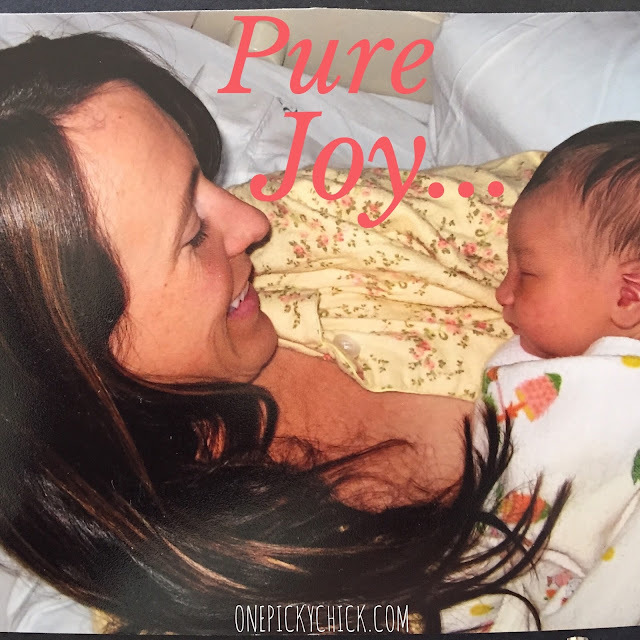 I wanted to share in a joy that was hard to find with a baby who was difficult to meet. January, 2011, I gave birth to my first and only little boy. He's no better than any other child but he's perfectly mine. I told my husband after I had him... I was in love with another man. I still am. After a few months, I emailed the fertility doctor who told me I would never have a child on my own. Now isn't that just the justice we all crave? You bet I was proud. He emailed me back and asked for details about how I did it. How's that for irony? Finally tonight, the lesson here is clear and goes far beyond conception. When it seems all hope is lost, maybe it's not. Anyone can do something they thought not possible, something outrageous... even a little miraculous. I did. You can too. Just carve your own path. Listen to medical professionals but be your own best advocate. The rules don't always apply to everyone. Sometimes... you have to make your own. Above all... anything worth having is certainly worth fighting for. My Fight for Fertility was a long, hard battle but it was worth every second. It will be for you too! 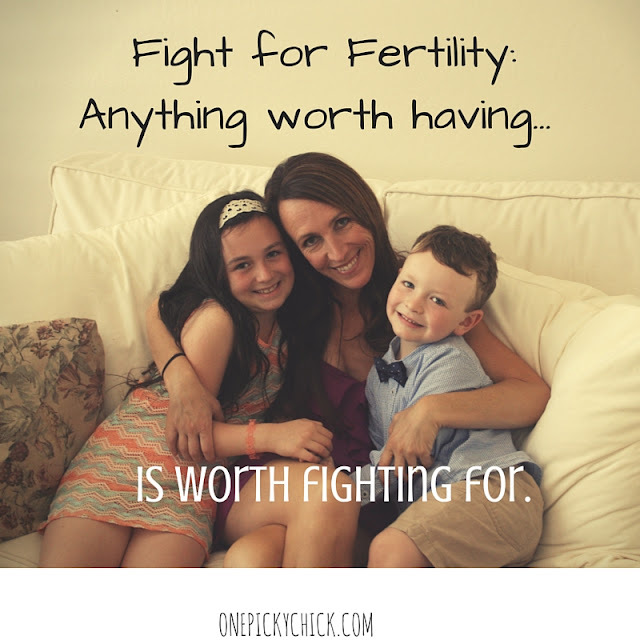 Do you know someone who fought to have kids? I can tell you... it's a lonely, humiliating and hard battle. But giving up is never the best option. One day when your children are driving you nuts... stop and think about the women who would absolutely LOVE to be driven to straight to crazy town by their kids... but can't. I have long thought about writing on this topic. I just haven't had the guts yet. It's just that important to me. Chances are... it's important to someone you know too. This story is simple: I was told it was impossible for me to have a second child. I should give up. But I didn't. Let me back up to the beginning. I was a career woman. A Television News Reporter and Anchor all throughout my 20's and well into my 30's. I didn't want to get married until I was 30. I had a plan. I always do. I knew I wanted to live my life, no regrets, do and see things and then be well prepared to have and "serve" my kids. Many women are now doing this... and yet some are then surprised when they have trouble conceiving. Why? That's a whole other blog (which I wrote... to read it click HERE)! But for now, let's stick to this script. When I was 34 I had my first child. She was glorious and beautiful and we loved her with every bone in our body. We worked for her, she didn't happen right away, about 6 months. But when I went to have my second child it was harder. After about 10 months - I got pregnant. Then I lost it. This, unbeknownst to me, happens to many women. I had no idea. I also had no idea what a horribly difficult loss it would be. The baby was almost 3 months. We hadn't told anyone but my parents. Not even our daughter who was only 2 at the time. But the complete and utter devastation I felt - I was totally and completely unprepared for. If you've had a miscarriage you know exactly what I'm talking about. The minute you're told you're pregnant... you start thinking of baby names! In your head, you're already a Mom to that unborn baby. Loss doesn't come into the equation. Just baby coos, colors and clothes! So when you see that look on a nurses face - she calls the doctor in - you're not prepared for what they're about to say: there's no longer a heart beat. I was in shock. How could that be? I'd seen the heart beat a few weeks earlier. 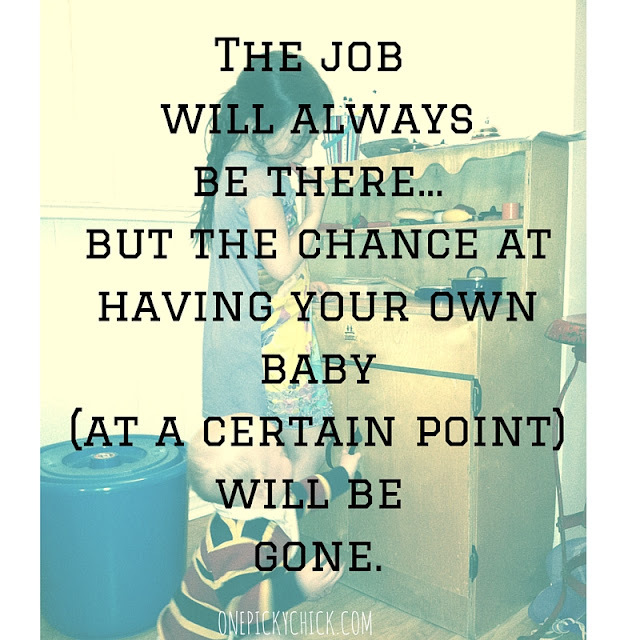 I had already planned my Maternity leave (in my head). Now, none of that was to be. I cried all afternoon. I felt as if I lost a part of me. It was so strange because I never understood why women were so upset after losing someone (a baby) they had never met. But I did now. I went to work the next day and I told no one. I was to have a surgery to remove the baby the following week. It was hard. But I survived and I was determined. We continued to try and have another baby. But there was clearly a problem. It just wasn't happening. Why? When I had already successfully had a child? That, by the way, was a blessing and a bit of a curse because she was giving me so much joy on the one hand... on the other it was confusing having her and not being able to "repeat her" if that makes sense? It's like a road you've traveled down before but is now closed for no reasonable explanation. But it is a real thing and it's called "Secondary Infertility". During this time, of course, it seems like everywhere you turn women are having babies. You notice all the pregnant ladies, you wish, you hope, you cry a little. But you're getting sadder, more desperate and downright angry too. 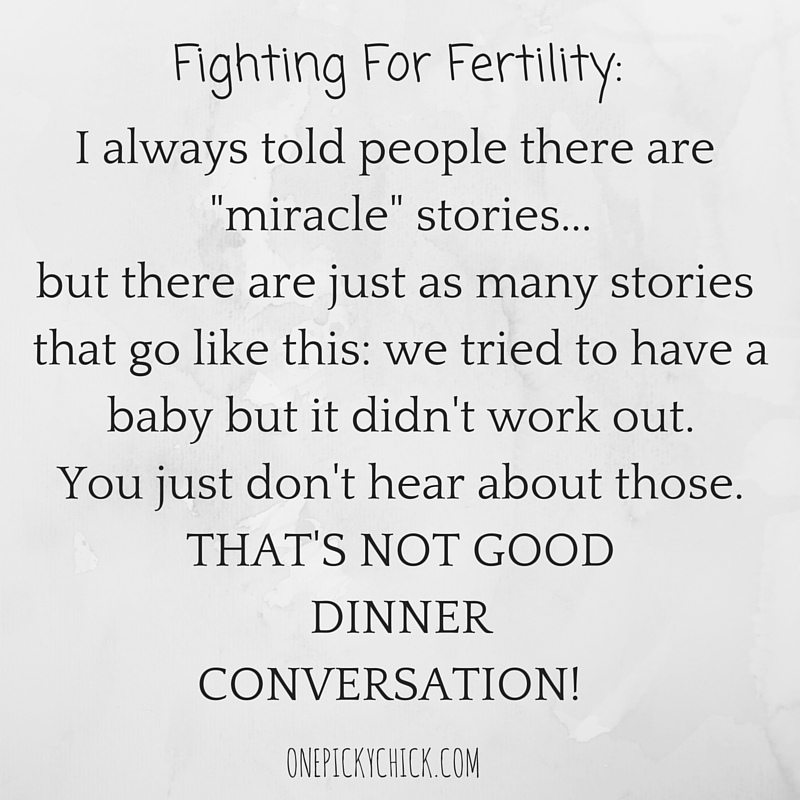 It's right about now you hear countless conception stories. And if people know you're trying to get pregnant - you hear even more. Everyone knows someone who tried and tried and "low and behold" they did it! Those are the people you really want to kill. They're so irritating because even though they're trying to cheer you up - they're just making you feel worse. 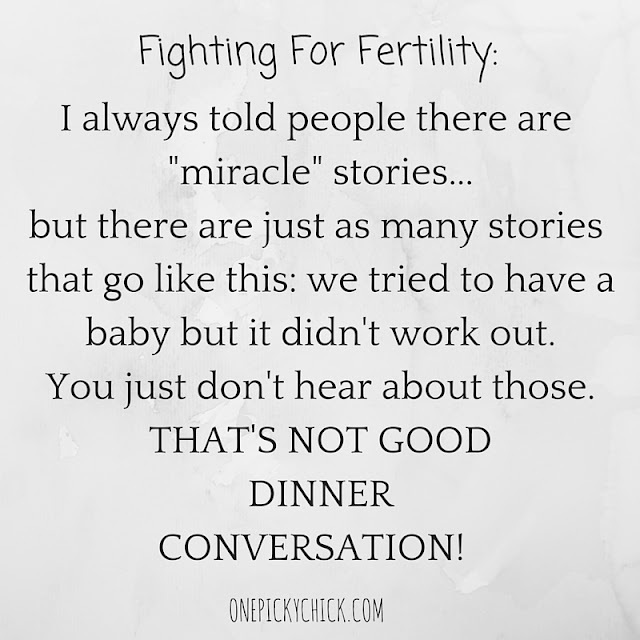 I always told people there are "miracle" stories but there are just as many stories (if not more) that go like this: we tried to have a baby - but it didn't work out. You just don't hear about those. That's not good dinner conversation! Those stories stay in people's heads. And right now... that was exactly how my story read. Let's talk about feelings at this point. Pregnancy is almost a given for women in our society. Not that they have to have children but that they CAN. Women can have babies, if they want. It's how women are built, it's what they do, it somewhat defines their societal "role." Therefore, if a woman is stripped of that ability - I'll tell ya - it makes them (at least it made me) feel less woman-ly. I felt as if I was less of a woman because I couldn't do thee most basic woman thing. And that was embarrassing. It's also during this time that you feel very alone. 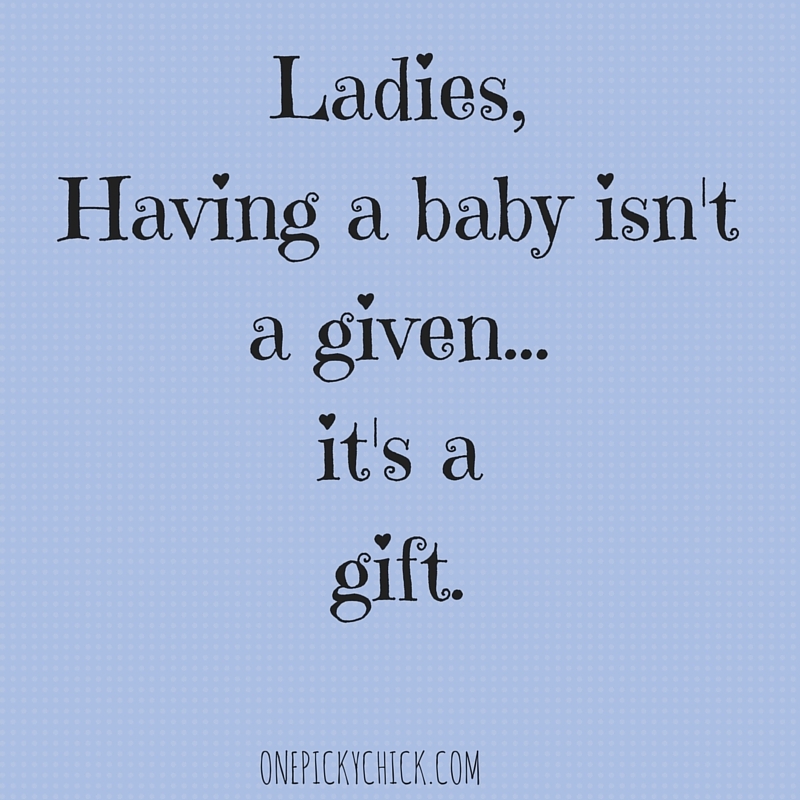 Though you're not... you feel as if you're the only person on the planet who can NOT have a baby. If you reach out, you will find there are many many many of you out there. And there is comfort in numbers. But there isn't much from your husband. He may be a good man, as mine is (and was) but he just doesn't get it. It's not in his DNA. They try, these husbands of ours and they are there but they're also at a loss. Pregnancy is a foreign concept to them. One they can never fully understand... cut them some genetic slack. But because the husband is most likely your best friend... it's even more difficult. 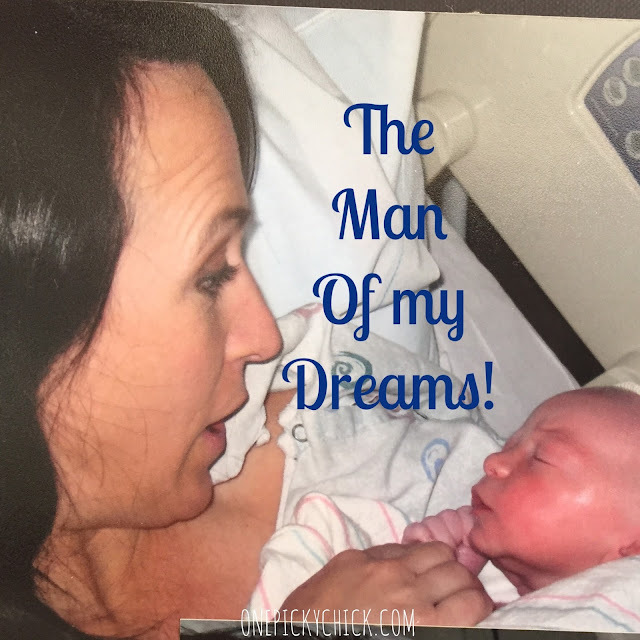 My husband really was doing his best... but it didn't get me pregnant. And it made me wonder was I doing my VERY BEST? Or could I do more? At this point, we started to look into IVF. Since I was a reporter I happened to interview a local fertility doctor. We started talking about my own fertility goals. His advice: see him right away. So I did. After a few short tests it was determined I was experiencing low ovarian reserve. I was running out of eggs. Apparently, every woman has a pre-determined genetic rate of ovarian aging. Mine, was premature. I was 35. But my FSH levels were very low. They should have been higher for my age. FSH stands for Follicle Stimulating Hormone. It's one of the most important naturally occurring hormones in the menstrual cycle. It stimulates the follicles to grow eggs in the ovaries. When a woman is approaching menopause (I wasn't), she's running out of eggs so the brain makes more FSH and the level goes up. It's like stepping on the gas pedal in a car. The more the pedal is pushed, to stimulate the ovaries, the higher the number. Mine was 15 and that was considered very high for a 35 year old woman. So it was determined we would try a round of IVF. It's not an easy road. It's a lot of drugs, a lot of needles, a lot of appointments. It's a lot of money. But we believed it was our last hope. 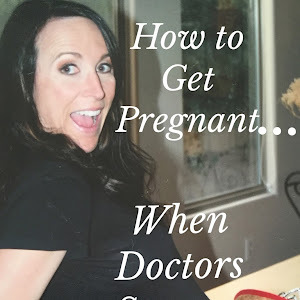 My Scottsdale Fertility Doctor made it seem as if I was so OLD if I didn't hurry and do this... I'd never have a baby again. But after all of that - it didn't work. There was no baby. To make matters worse, my doctor told me he would not attempt IVF on me again. Unless, I went with a DONOR EGG. I was stunned, saddened, confused, broke and a little pissed! Sidenote, many IVF doctors rely HEAVILY on their stats. It's the way he/she shows potential patients how successful they are at getting women pregnant. My doctor would no longer take a chance on me because he thought I would negatively impact his numbers. He specifically said there was no way I'd have a baby on my own. The clock was counting down and the ship had sailed. Which is exactly what I needed to hear. Okay, fertility guy... WATCH ME! Watch me talk about my fertility fight on Periscope below! Everyone LOVES a good lettuce wrap. EZ/YUMMY - ingredients you can find in your Pantry! I love to make "Pantry Dinners..." you know what that is? Everything I need just happens to be in my Pantry. 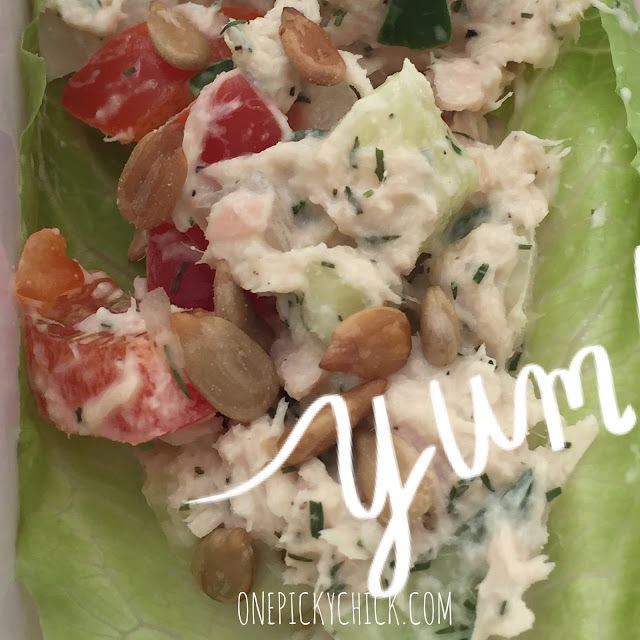 No need to go to the grocery store - it's all in the pantry/fridge. And THIS is THAT! It's super fabulous to feed children. And ourselves. Parents eat too you know! I whipped this up last night and boy did we scarf them down. EVERYONE at the table! 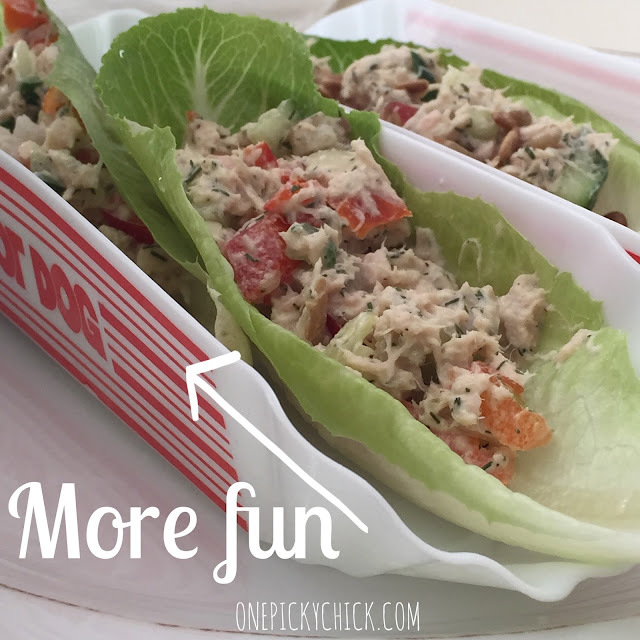 These are Tuna lettuce wraps but I would say you can also make them with a white fish (like Halibut) . Of course when I served this to them they let out an "ohhhhhhh Mom....." to which I replied "try new things cause it might be go-ooood!" One bite, they each let out a small but victorious, "mmmmm" and I knew we were in business! Not to mention if you put them in these hot dog holders (because they don't really stand up on their own) it turns up the FUN notch a bit! 1 can of tuna (in water) - or a white fish would work too! 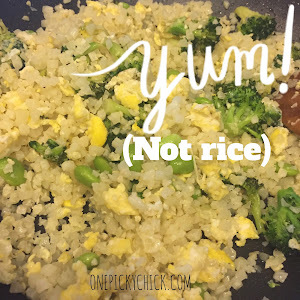 Add everything together in a bowl and mix! Then scoop mixture onto leaves and sprinkle Sunflower Seeds if desired. I wasn't sure if the kids would like the Sunflower Seeds but they really kicked the dish up a notch and they wanted them on all of their wraps! 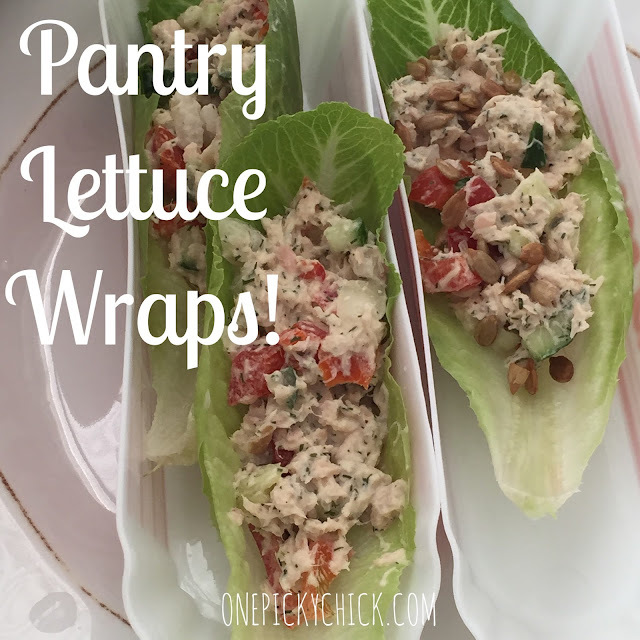 So enjoy this EZ, fabulous Lettuce Wrap - coming soon from a pantry near you! 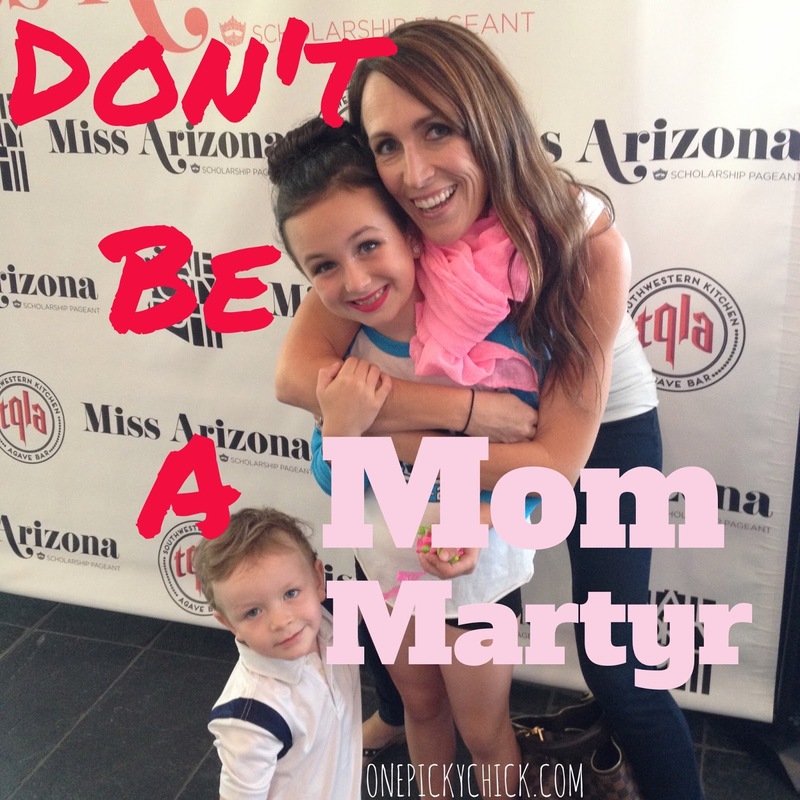 Don't Be a MOM MARTYR! As I stated in my last post I'm doing a "Periscope" challenge this month. You broadcast live and support other broadcasts as much as possible. If you're not sure what Periscope is and want to learn more or participate you can read about it HERE or HERE. Anyways, I've already failed miserably at it since I really can't participate as much as I need to... it's just impossible being a busy Mom/CEO of my household. But I do like trying... which brings me to this post. The group has daily prompts which you can discuss. You can talk about the topic or something else but today the prompt is BEST PIECE OF ADVICE. What a question...? There's really so much good advice in the world. Yep, we've all heard plenty of advice over the years. As kids... but especially as Moms. For some reason, when one becomes a Mom everyone suddenly wants to give you advice. Sometimes solicited - more often unsolicited. And the best piece of advice you've gotten most surely depended upon the person who gave it, the way you reacted to it and the context it was in. In my own life, no one officially gave me the Mom Martyr advice but I think it was almost an unspoken piece handed to me by my own Mother. She quit her job when I was born, didn't continue many friendships, she didn't have many hobbies... but she was a really good Mom. Ring a bell? Lots of Moms tend to lose themselves in their families. We Moms focus very much on our children, our homes, our husband and sometimes the last to consider... is woman at the center of it all. You. They say one either does exactly what their parents did, the opposite or conscientously picks and chooses something in between. Therefore I believe: Being a Mom doesn't make you a Martyr. Or at least it shouldn't. Everyone knows Mom Martyrs. They're wonderful people. Fabulous actually. And they're incredibly busy, in fact they're always moving and shaking, until their kids go to college. Then they look around and suddenly realize... they have nothing left. They ask, "Who am I?" "Who are we?" (as a couple) Sometimes they don't know. Often times they're lost. The feeling is agonizing and a bit tragic. Maybe a little scary too. 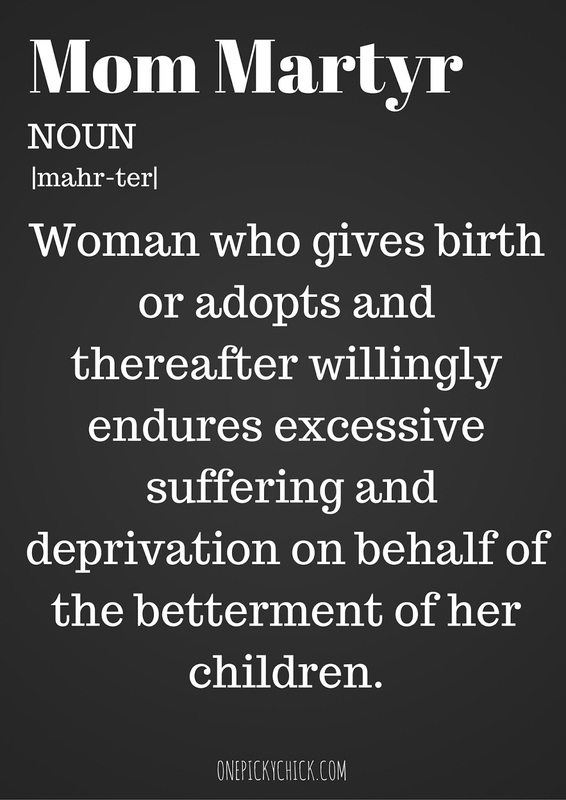 For many Moms, it happens even before they realize it. It's like that FROG in BOILING WATER again! They forget about hopes, husbands, for sure their hair and the house of their dreams!?!! Because they're too busy being a passionate Mom. Don't get me wrong... being a MOM is a huge responsibility and it's not to be taken lightly. But if one loses themself... what kind of message is that sending their child? Ultimately, not a good one. I once had a "friend" who had the nerve to say to me I wasn't very "into" my child compared to her other friends. This was back when I was working and had a Nanny. I would go to an occasional massage, dinner, vacation without my daughter and she thought that was wrong. Never mind she wasn't a mother, but when I gathered my wits again (since my chin was still lying on the floor) I told her doing those things were some of the best things I could do for my daughter since it was only strengthening myself and my marriage. And I still believe that. My children mean the world to me. The world and I would do anything, absolutely anything for them! But I matter too. Life must slow down as a Mom - yes - but it shouldn't stop completely. Those that do that... the Moms who Martyr themselves, someday, will surely regret it. They'll look back and wonder... where did I go? I'm more than willing to put my life to the side, because that's what I signed up for, but give it up completely? No thanks. Then we all lose. Including them. And don't forget about the husband. I dread the day I go to dinner with BP (the husband) and we have NOTHING to talk about. And because I dread it... I'll make sure it doesn't happen. But the fix is simple. While tending to kids in these busy, crazy, fun days... take a moment to tend to Mom too. Remember who the person in the mirror was before kids, during kids and who she wants to be after they ride off into the sunset (or at least go away to college). Because you're a good Mom... you just don't have to die while trying. There in lies the best piece of advice I've ever gotten. That and always have a bottle of wine and whipping cream in the fridge! Check out the SCOPE I did on this subject! And thanks ahead of time!